Gorgeous 5 bedroom home at end of the cul de sac in sought after Heards Ferry district. Master on main with steam shower. Hardwood floors throughout. 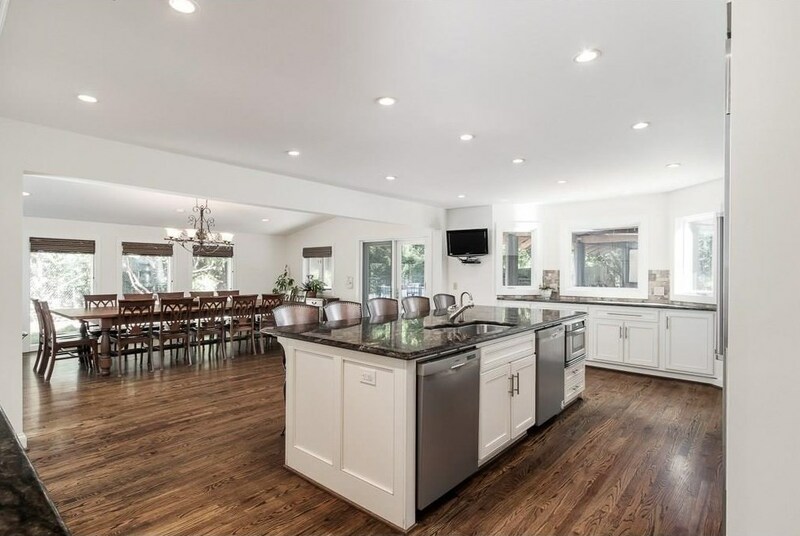 Open floor plan w/ chefs kitchen that leads to oversized dining room. SS appliances, subzero fridge, two dishwashers, flat top and steamer & stove top. Perfect back yard for entertaining w/ patio off kitchen, covered BBQ area, fenced in lawn & built in concrete ground outdoor fire pit. Fully fenced heated pool & jacuzzi. Finished basement w/ office, private entrance guest room en suite, extra space for storage and more! 175 Colewood Way, Sandy Springs, GA 30328 (MLS# 6512880) is a Single Family property with 5 bedrooms, 4 full bathrooms and 1 partial bathroom. 175 Colewood Way is currently listed for $799,900 and was received on March 01, 2019. Want to learn more about 175 Colewood Way? Do you have questions about finding other Single Family real estate for sale in Sandy Springs? You can browse all Sandy Springs real estate or contact a Coldwell Banker agent to request more information.